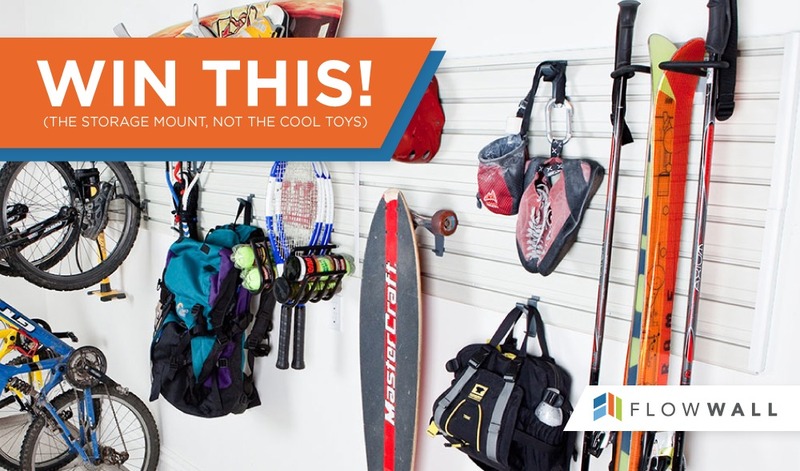 Start the summer right by helping Dad keep things organized in the garage! We’re giving away the Deluxe Sports kit (valued at $279.99), which is the perfect solution for storing all of your gear off the floor. And it’s an ideal way to make sure you’re ready for the next adventure. It’s a simple install, includes panels, hooks, screws, and everything you need. It can be personalized space to suit all your needs. Check it out here. To have a chance to win, do any of the actions in the widget below. You’ll get additional points when you do things like visiting our Facebook page, following us on Pinterest, or sharing on Twitter. The contest runs until Monday, June 15 at midnight! Good luck! 10 X-Hooks: 1.25 in. wide x 2 in. deep.